HALLMARK QX1095 - 'SNOWDROP ANGEL' SECOND in The Language of Flowers Ornament Series. Handcrafted - Dated 1997. 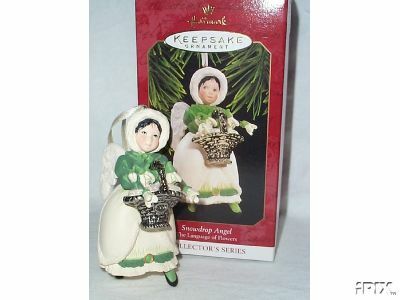 Items Similar To "SNOWDROP ANGEL Hallmark 1997 Ornament #2 Language of Flowers"